You may receive updates from UNITE HERE Local 11, the sponsor of this petition. 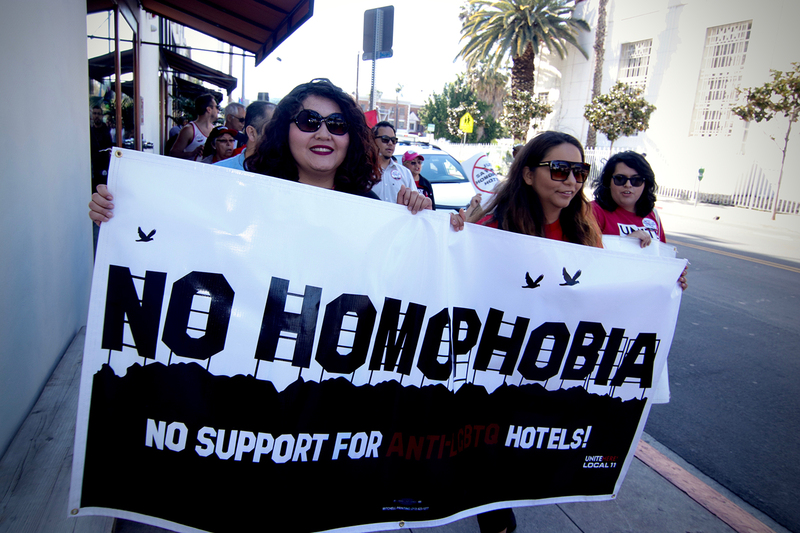 Just Say NO to Homophobic Hotels! Women, LGBTQ and labor groups are sounding the alarm about the development of the Hollywood Ivar Gardens Hotel, a 21-story skyscraper planned for the corner of Sunset and Cahuenga. This project is linked to a virulently anti-gay organization that publishes articles supporting “conversion therapy cure” for LGBTQ kids, the re-criminalization of abortion, and the repeal of marriage equality nationwide. Please stop the development of the Hollywood Ivar Gardens Hotel, a 21-story skyscraper planned for the corner of Sunset and Cahuenga, a project that is linked to a virulently anti-gay organization that publishes articles supporting “conversion therapy cure” for LGBTQ kids, the re-criminalization of abortion, and the repeal of marriage equality nationwide.